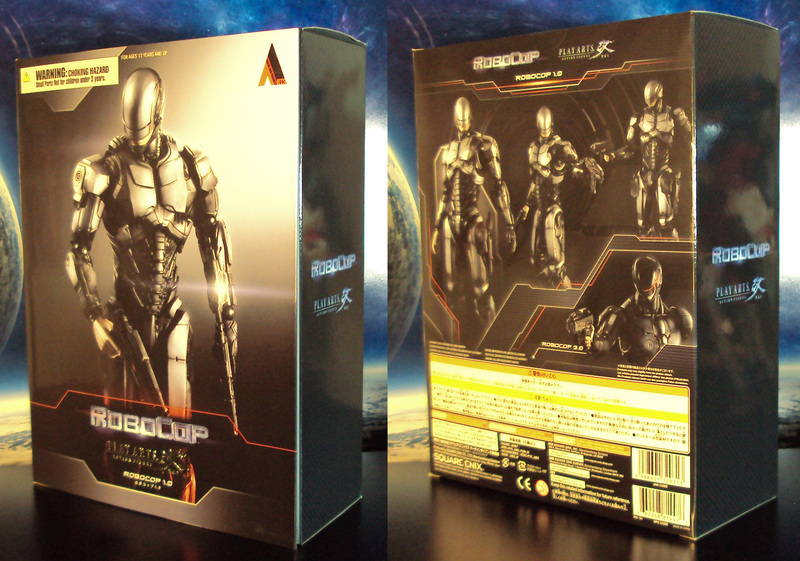 The folks at Square Enix roll out another amazing action figure with Robocop 1.0 (from the Robocop 2014 movie) in their Play Arts Kai line. 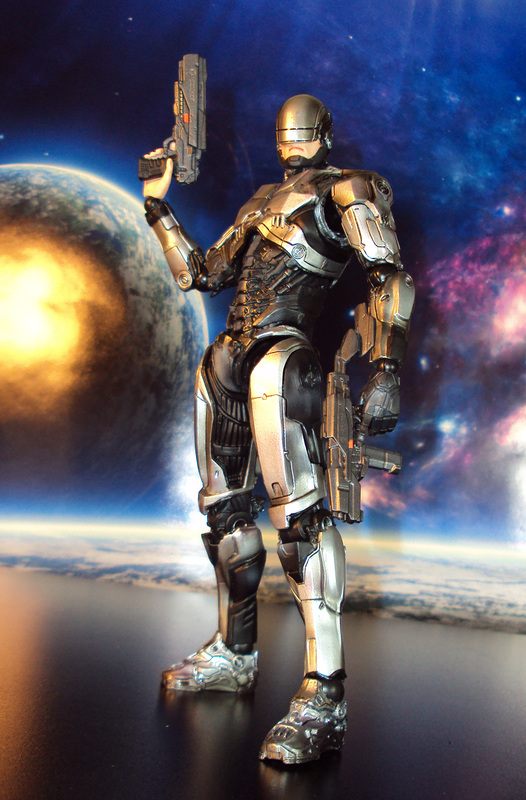 Standing 9 inches tall, this figure is sculpted and painting with outstanding detail. He has all the right points of articulation for dynamic posing, especially nice ratchet joints for the thighs. 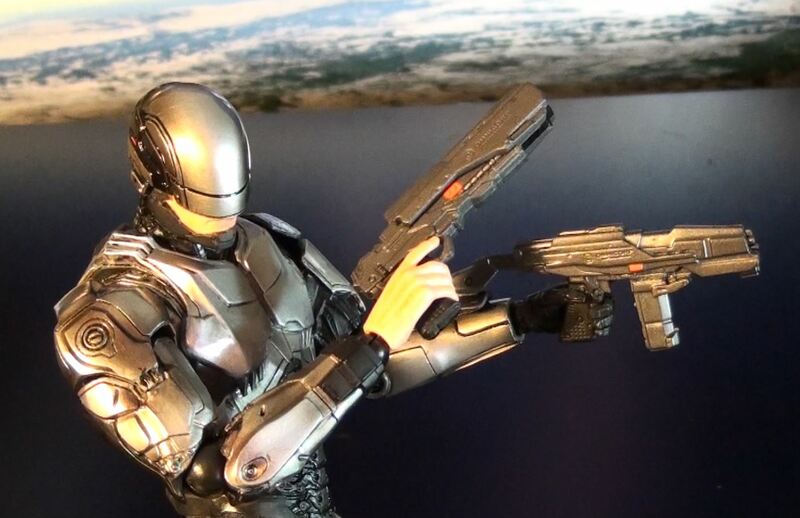 He includes extra hands and 2 versions of handgun and 2 versions of his mini assault rifle. You also get optional attachable weapon holsters that can be swapped on to show off that weapon ready look. 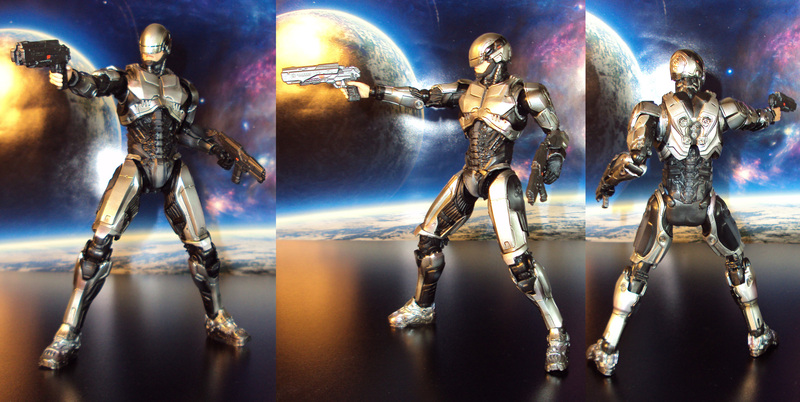 Naturally, he includes the default play arts kai clear stand for posing assistance. Priced at about $80 (Amazon).